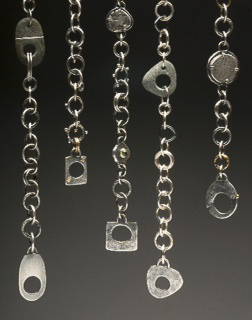 Explore the many different shaped wire forms, textures and links that can all be combined into a fun chain. 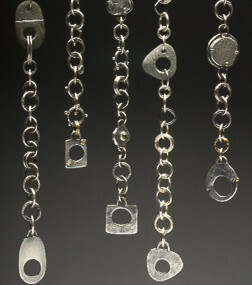 A wide range of chain styles will be shown such as cold connected, soldered links, fused and pierced. Soldering set up and tips will be covered as well as simple solutions for clasps. Must wear closed toe shoes.